Do I need to complete the online portion prior to attending your online skills session? YOU MUST COMPLETE THE ONLINE PORTION PRIOR TO ATTENDING YOUR CLASSROOM SKILLS SESSION. The amount of time it will take you to complete the online portion of the class will vary based on a number of factors including topics covered, the speed of your internet connection and your previous experience with this material. We suggest you complete the online portion at least two days prior to attending the in-person classroom skills session. Once you have completed the online portion, print your online completion confirmation and bring it to your classroom skills session. If you are unable to print the online completion confirmation, we suggest you use your cell phone camera to take a picture of the screen display for proof that you completed the online portion. •	To properly run this course you must use a computer with a high-speed internet connection. • If your browser prompts you with a question about secure content, answer it in a way that allows you to see all material. • If at any time while taking the online portion of this class you receive a time out warning, just click “OK” and continue the class. •	Remember to turn the pop-up blocker back on once you’ve completed the online class. 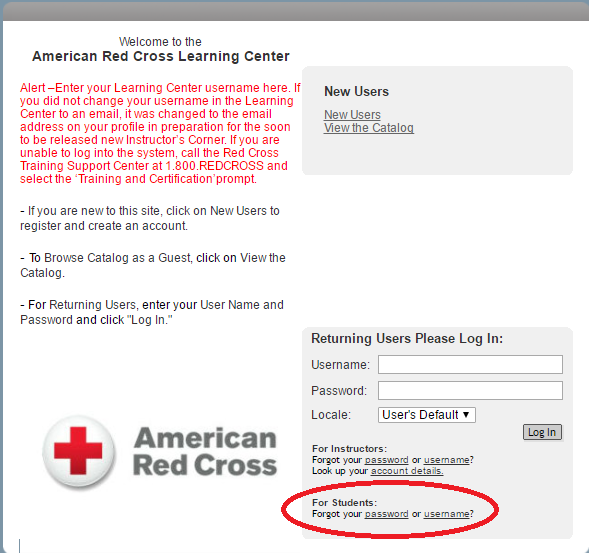 How do I access the online learning if I registered on the Red Cross website? 3. 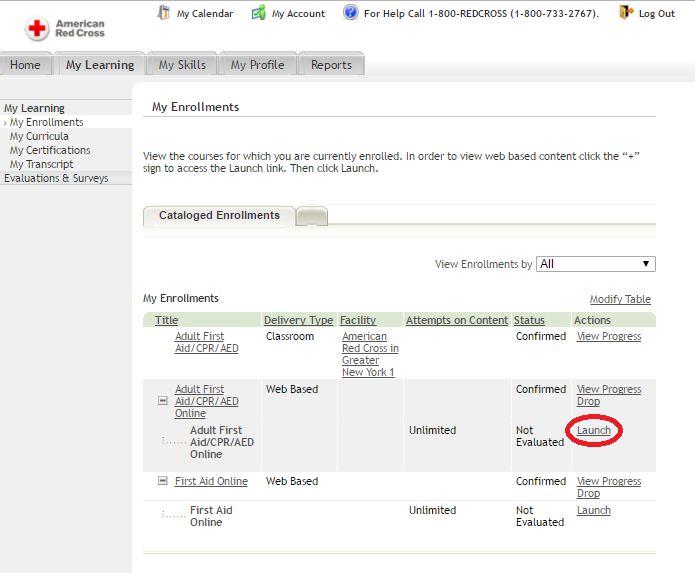 Locate the order containing the course and click view details. 4. 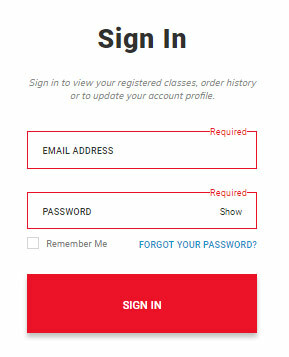 Scroll down and select the “Launch Online Class Button. 5. If your browser prompts you with a question about secure content, answer it in a way that allows you to see all material. Two new browser windows will open: one is blank and must remain open while you complete the online class while the other will display the online class content. 6. 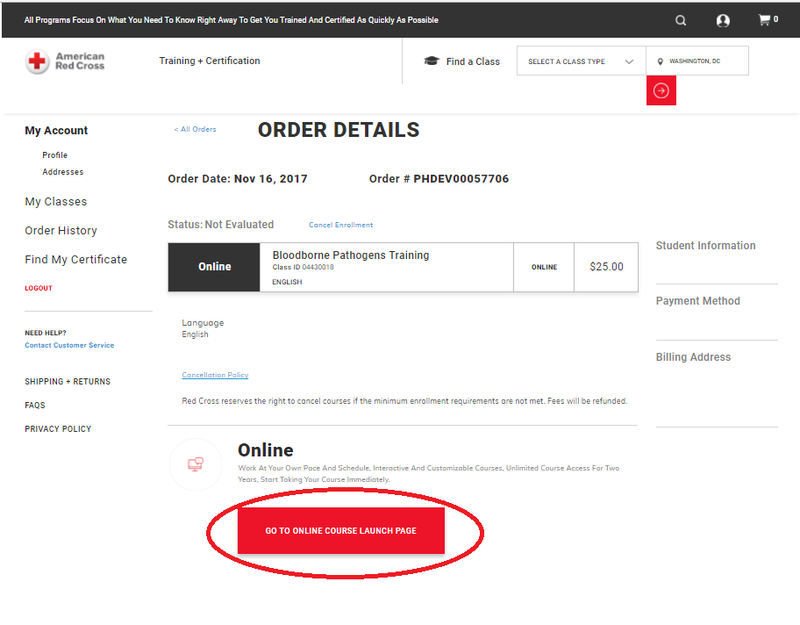 In the Red Cross Learning center you will need to click on the launch button to start the online course. Note: If at any time while taking the online portion of this class you receive a time out warning, just click “OK” and continue the class. 2. Log into the Learning Center as a Returning User with the username and password provided when you registered for the class; if needed use the “Forgot You password or username” For Students to gain access. 3. Click on the My Learning tab. Look for the class under My Enrollments and then look to the right side of the table for “Launch.” If you don’t immediately see “Launch,” you’ll need to click the “+” that appears beside the class title. 4. If your browser prompts you with a question about secure content, answer it in a way that allows you to see all material. Two new browser windows will open: one is blank and must remain open while you complete the online class while the other will display the online class content. The online class begins with an introductory video. What are the Basic Life Support computer and browser requirements? To optimize your experience with this online course, please make sure your computer and browser meet the following minimum requirements. The online course cannot be taken on a smartphone. Bandwidth 512KB/s dedicated or faster. Broadband internet access is recommended. What are the First Aid CPR AED computer and browser requirements? Bandwidth 2.0 mbps dedicated or faster. Broadband inernet access is recommended. How do I complete the First Aid CPR/AED Crossover Bridge? In addition to the program materials, review the terms included of the Instructor Agreement and Code of Conduct as you will need to acknowledge that you reviewed those at the end of the bridge course. This document can also be found on the First Aid/CPR/AED Candidates page linked above. iii. Click “Place Order” button at the bottom of the “Create Order” page. ii. 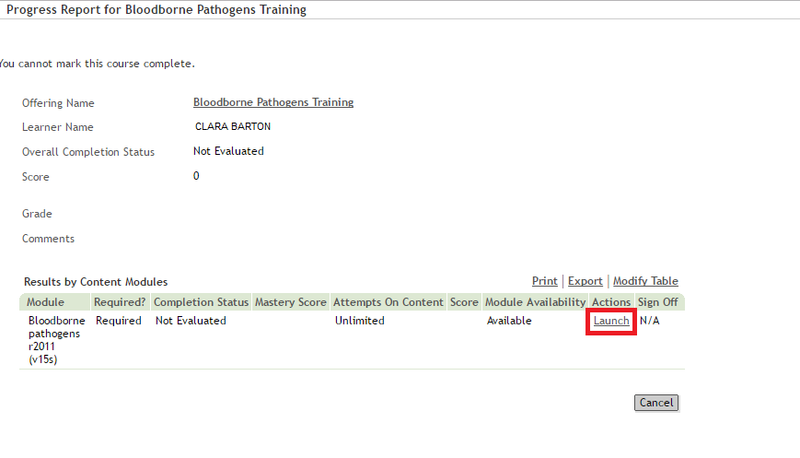 Upon completion of the Instructor Bridge, save a copy of the completion record before exiting the course. c. An agent from the Red Cross Training Support Center will verify that you have successfully completed the Instructor Crossover Bridge and will assign your First Aid/CPR/AED instructor certification in the Red Cross Learning Center. How do I access the Simulation Instructor Content Demo for Basic Life Support for Healthcare Providers? Cognitive Assessment: Given that this is a demo version, the cognitive assessment (found on Level 3 of the simulation) will not be made available. 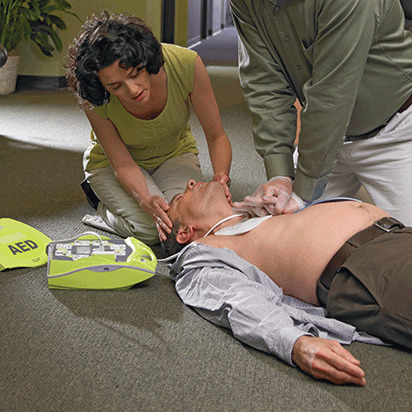 • Remember that instructors must complete the online demo prior to teaching a BLS blended learning skills session. • If at any time while taking the demo you receive a timeout warning, just click “OK” and continue in the course. • Browser and Technical Requirements: For best experience using this demo, please make sure you computer and browser meets the following minimal requirements. Note: While this demo will work on mobile devices, the dimensions are such that the experience is not ideal for smartphones. As a result, we recommend you do not attempt to access and complete the demo on a smartphone. Audio 500KB/s dedicated or faster. Broadband inernet access is recommended. For best experience using this course, please make sure you computer and browser meet the following minimal requirements. In order to take the online course, participants must have a Flash-enabled PC with a high speed internet connection. The online course cannot be taken on an iPad or smartphone.